T&S Bee Farm is built on the principles of producing quality hive products, educational beekeeping products and providing reliable service. Hi, I'm Thom Carey. In 2006 was working frelance in television production, shooting news, sports, and corporate training videos, in Detroit, Michigan. My wife, Sheryl was in the Air Force Reserves, all was good. Then my wife's military mission and location changed, which facilitated our move to rural South Georgia. 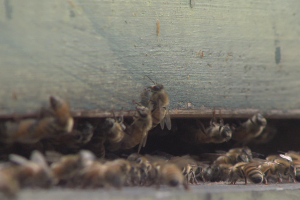 Now living on a small farm, I could do the one thing I always wanted to do, keep Honey Bees. I started out like most beginner beekeepers - I bought a book or two, hive furniture, and some package bees. I read more books a lot more books, watched every beekeeping how to video and DVD I could find and took beekeeping classes and worked with other beekeepers. After a few more packages of bees, things started to get real fun. We made increases year after year. 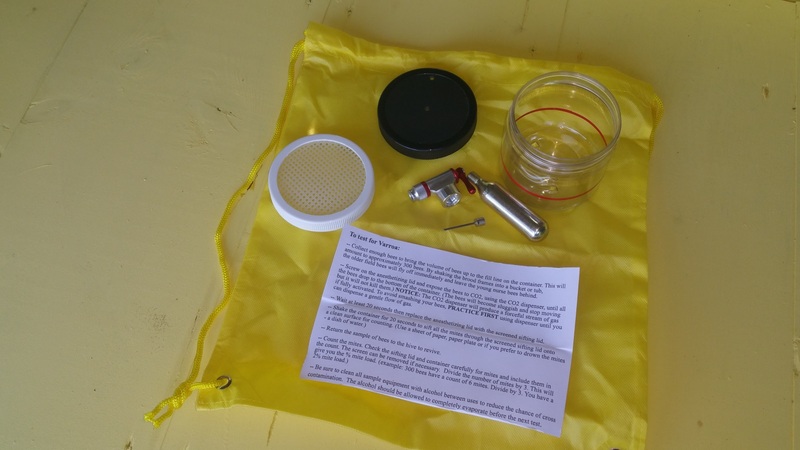 Joined a local bee club and started working with new beekeepers helping them avoid the pitfalls I encountered as a new beekeeper. 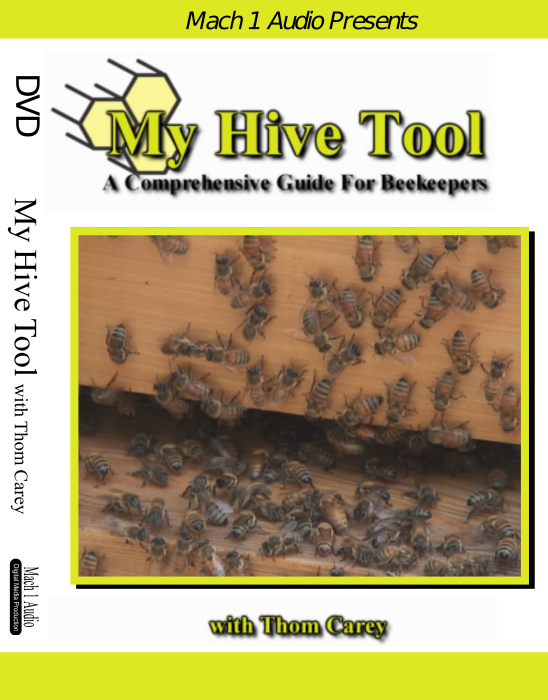 After much encouragement from my wife and new beekeepers I have been mentoring, we developed the "My Hive Tool" DVD. With 4 hours of Beekeeping instruction, this program will get you started successfully keeping Honey Bees, your first season. Our beekeeping education DVD series continues to grow by listening to the customers, improving our standards, and following a systematic approach to beekeeping Education. 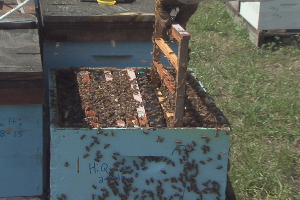 We apply the same systematic approach to beekeeping. We use natural biologic or soft chemicals for pest and disease control when possible. 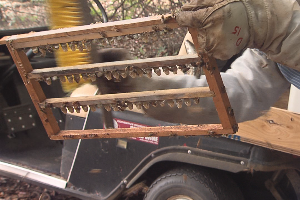 We resort to the use of harder chemical treatments when it is in the bees best interest. WHY RAISE QUEENS? 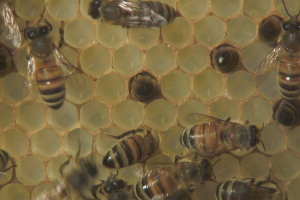 BEEKEEPERS CAN GET THE BEES TO RAISE A NEW QUEEN SIMPLY BY MAKING A QUEENLESS SPLIT WITH APPROPRIATELY AGED LARVAE. SO WHY WOULD WE WANT TO RAISE QUEENS? 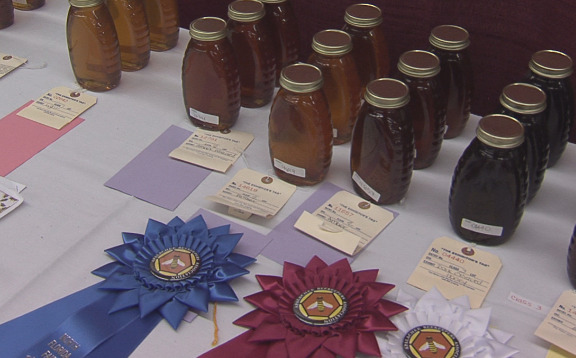 FOR MANY BEEKEEPERS, THE HIGH POINT OF THE BEEKEEPING SEASON IS EXHIBITING THEIR HONEY AT THE VARIOUS HONEY SHOWS. 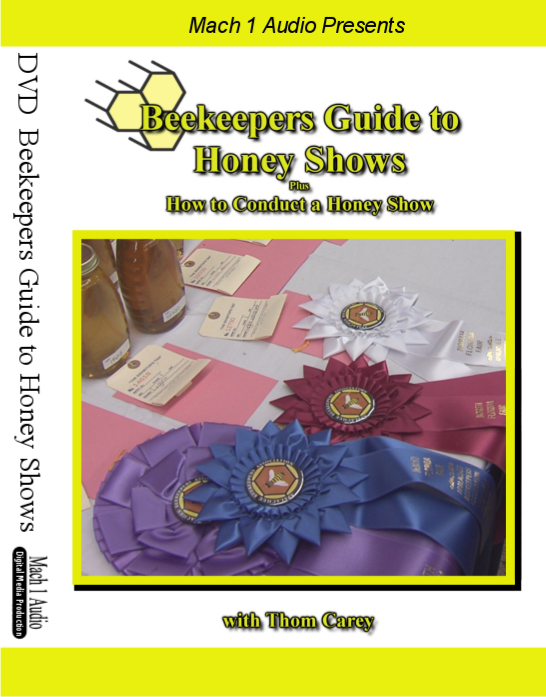 HONEY SHOWS TAKE PLACE ALL OVER THE COUNTRY AND ALL AROUND THE WORLD. TO SEE JUST WHAT A HONEY SHOW IS, WE NEED TO TAKE A STEP BACK IN HISTORY. BACK TO A DAY WITHOUT TELEPHONES, TV, OR RADIO. 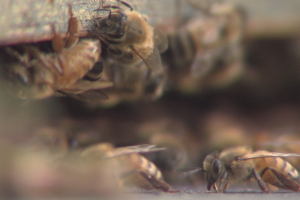 HOW DID THE BEE FARMER LET ITS CUSTOMERS KNOW THEY HAD THE FINEST HONEY? 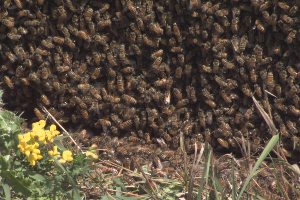 T&S Bee Farm is located just outside of Sale City and is easy to find with google maps. Ask google to take you to T&S Bee Farm Sale City, Georgia, then follow the signs. 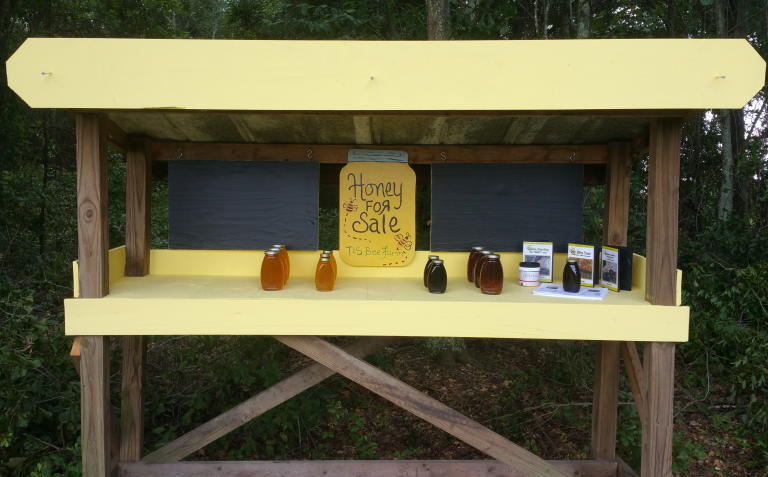 We have raw local honey in one and two pound jars as well as other hive products (when available) for sale at our self-serve honey stand. 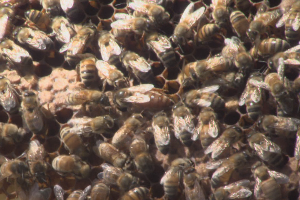 Preview short Bee and Beekeeping videos These videos have been released under the Creative Commons License for beekeepers to use in their bee education programs. 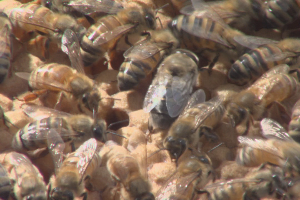 Have a bee or beekeeping question? Ask it here.